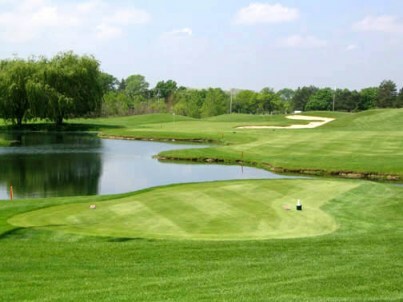 Prairie Landing Golf Club is a Public 18 hole golf course located in West Chicago, Illinois. 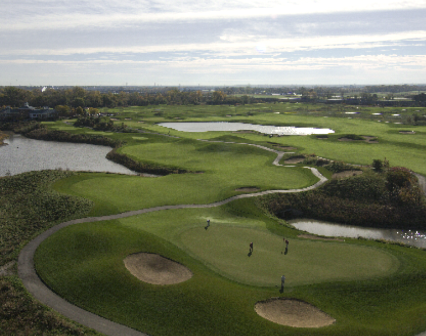 The course was designed by Robert Trent Jones, Jr. Prairie Landing Golf course opened in 1991. Par for the course is 72. From the back tees the course plays to 6,861 yards. From the forward tees the course measures 4,859 yards. 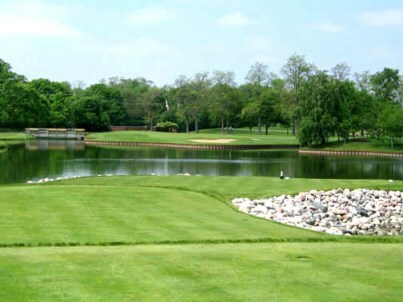 The longest hole on the course is # 7, a par-5 that plays to 592 yards. The shortest hole on the course is # 14, a par-3 that plays to 171 yards from the back tees. Watch out for # 7, a 592 yard par-5 challenge and the #1 handicap hole on the course. The easiest hole is # 15, a 369 yard par-4. My group of friends normally play 30 plus courses from Illinois, Indiana and Michigan. We always love this course. Hardest we play along with tremendous and challenging conditions. Each hole is different and difficult. 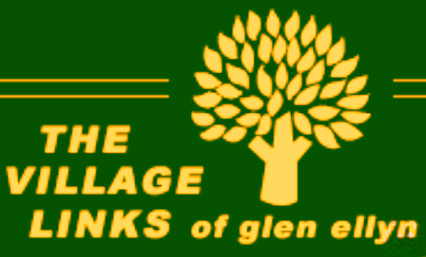 Closest course to British Open style course in our area. Gigantic greens which role smoothly but are very challenging. Lush fairways with danger lurking everywhere. Gigantic dunes which cause great fairway slopes. All greens are protected by carries over marshes and giant bunkers and most are elevated. Each hole is different. 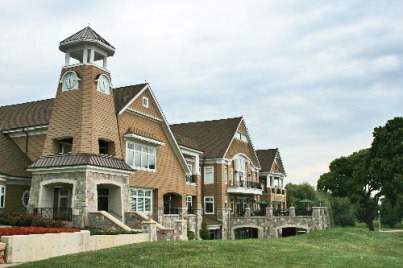 Staff is outstanding and clubhouse is extremely attractive. I would recommend this course to all. Only problem we had this years was when we stated in Grille for eating and ringing after our round with 12 people. Waiter was ride, not cordial and was smart with all present. We will not eat there again if waiter. Mark, is present. My group of seniors made this trip from Crown Point to Prairie Landing because of my bicycling through the course many times and viewing the course. 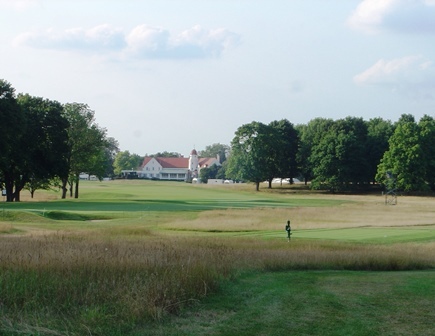 We have played a number of very nice courses this year in Michigan, Illinois and our home state, Indiana. This was the nciest course we have played. Lush, demanding on every shot, outstanding greens and a nice deal to get us there although it was 85 miles. Links styles with rolling fairways and hills, sand and water on almost every single hole. If you think you are a big time golfer, go there and play the tips. We will see. We will go back and will bring others. Course was in excellent shape. Greens were quick. Layout is good, there are some very nice holes. 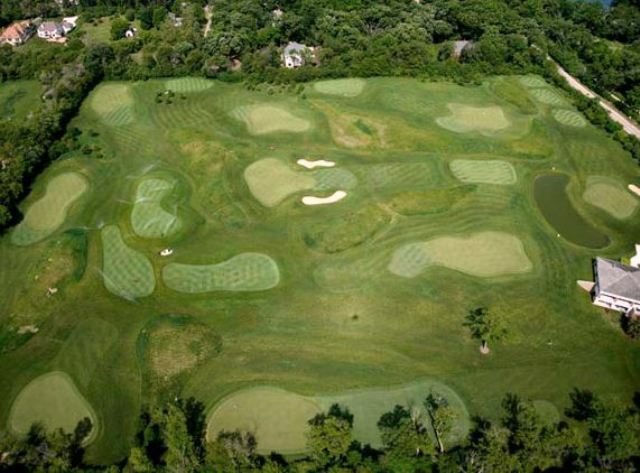 Typical Trent Jones Jr. short cut collection areas around the greens and undulating fairways. A few blind shots throughout the round. Practice holes allow for a good warm up. You can find some discounts available. Play it if you get the chance. This is a links style course--well bunkered, unique holes, large sloping greens, virtually no trees, a few large water hazards, holes that require shot strategy, multiple strategies depending on your game, etc. The course is fair and fun to play-- no tricked out holes or goofy greens. The fairways are ample and forgiving. You may not always like your position---side/down/up-hill-- but the average player will stay in the fairways. I enjoy standing on the tee or walking up to my next shot and having to figure where exactly to hit the ball; almost every shot is like that. The course was in great condition and the clubhouse/pro shop are first rate. The course is located at the south end of the DuPage County airport---think very flat and very few take-offs or landings. I should also note that the course has a very nice practice area just to hit balls and they have three short practice holes you can play to warm-up-- a nice feature. I had fun and recommend this course.